Did you know that there’s such a thing as International Clients’ Day? Although I’ve been in customer service for more than a decade, I first learned of it last week through a special offer email that I got in my inbox. Did you happen to hear about it too? Whether or not, the fact is that this informal holiday has not been around for that long. Actually, it was proposed (and celebrated for the first time) by Lithuanian and Russian businessmen on March 19, 2010 as an opportunity to show gratitude to their customers. Since then, the occasion has been supported by many organizations and businesses in Western Europe, and it’s constantly expanding, with more companies joining the initiative year by year. Would you join the club too? I was surprised and amused to discover this interesting fact, and as I pondered over it, I began to realize that I definitely like the idea. Along with the discount offer on the special occasion, I got the acknowledgment of how much the company appreciates me as a loyal customer and that it cares about the relationship. For me, it’s certainly a good sign, important and valuable for further business relationship. Later on it served as an inspiration for my article, as I decided to extend on it a little bit. In this post, I would like to speak about the signs that show a company cares about its customers in deed and not in name. I managed to come up with my own version of 10 things that are truly important for me as a customer. Take a read and let me know if you can find out a bit more! What Do Companies That Really Care Have in Common? Today’s consumers expect that the process of contacting customer service is seamless and straightforward. Statistically, 83% of online customers require some degree of support to complete a purchase and 71% expect to be able to access help online within 5 minutes. Top performing companies realize that their customer service channels should include many, if not all, of the options available today. Be it email, phone, Live Chat, social media channels, FAQs or self-service, companies that care about customers ensure their contact details and other relevant information can be easily found, all of the options are working properly, and agents are swiftly responding when their help is needed. According to another research, 89% of consumers have stopped doing business with a company after experiencing poor customer service, and 40% are sure they will cease doing business with a company if they happen to experience it. That sounds too disturbing to ignore. These days we witness high product availability, increasing choice options, and more competitive prices. Business competition has evolved into the challenge of building and maintaining exceptional customer experiences. Companies that stand apart recognize the importance of excellent customer service for keeping customers feeling positive and happy about their experiences with the brand. Today’s consumers are much more demanding if compared to what they used to be a while ago. 72% of them now expect a customer service representative to know their contact details, product information and service history as soon as they get in touch with support. Knowing your customer is an essential key to business success. Without this knowledge, you just won’t have the information needed to make the right decisions about pricing, marketing and almost any other aspect of running your business. 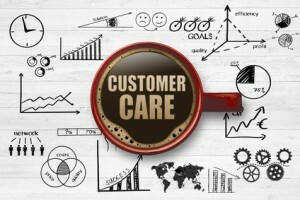 As market landscape is evolving, and social media and many other resources allow companies to connect with their customers on a personal level, true customer care implies going all out to know customer expectations and tend to their needs. Stepping into customers’ shoes is all about being able to see a situation from another’s perspective, understand how a customer feels at each particular stage of their journey and provide tailored solutions based on the situation. Closely related to the notion of empathy, this skill enables employees to communicate better with customers and address the emotional side of customer interactions. There is a brilliant quote by Marsha Collier that reads: Customer service can’t always deliver solutions, but it can always deliver empathy. Companies that lead the pack recognize the importance of emotional connection and train their staff to listen to customers’ verbal and non-verbal communication to come up with tailored solutions right on the spot. Majority of companies offer staff training to make sure everyone knows basic procedures to follow in standard situations. While having clear policies and procedures is important to make sure everyone is one the same page about applying them, it’s also critical to encourage and empower employees to take decisions on their own. This might include breaking the rules and flexibly using employee creativity for rewarding customer experiences. Companies that empower their staff to go above and beyond for great customer satisfaction know its worth. They do not tie their employees with scripted scenarios and encourage staff to use their unique personality to serve their customers the best way possible. Companies focused merely on attracting new customers could be in trouble. Regular customers admit they feel frustrated and left out as they observe businesses shouting out heavy discounts and juicy offers only to attract new customers. Buying growth through discounts and promotions while not caring much about longtime relationship and rewarding customer loyalty can do more harm, actually. According to a research carried out by The Grass Roots Group, about 49% of consumers even consider switching loyalties if a provider’s special offers are only available to new customers. Those businesses that survive and prosper, build their strategy based on fostering customer loyalty and do so with great reward. It goes without saying that customers are your most important assets, and deserve to have the best service and experience you are able to provide. However, what sometimes goes unnoticed is that the same applies to the people inside your organization, often referred to as its ‘internal’ customers. And that stands for a reason. In fact, company’s employees are an equally important resource. The way they approach customers clearly reflects the way they themselves are treated. Companies that treat their staff like gold, make them feel valuable and important, enjoy better employee performance and higher customer satisfaction rates. We often hear that these days customer service is no longer just a department within an organization, but rather an attitude behind the entire company culture and strategy. Companies that realize how important customer service is for their business, adopt the “everyone does customer service” approach. They reinforce excellent performance by stressing the significance of jobs that involve interaction with customers. When a customer decides to stop doing business with you, whatever the reasons behind the decision, it’s better to leave the door open. There’s still a huge probability (20% to 40%) of successfully selling to those who left at some point if you manage to cope with it professionally and positively. Companies that truly care about their customers find ways to softly ask for feedback, express regret and stay in touch. Whether it’s good news or bad, your customers deserve timely, open and honest communication. It is critical to keep them informed about your company innovations and events to justify their trust and gain more credibility. Truth be known, there are too many follow-up communications like auto-replies, post-sale surveys and special offers, largely left unopened and unread. Yet it’s absolutely imperative to proactively inform your customers about product recalls involving safety issues or product defects, as well as changes in pricing and other significant terms. Those businesses who really care do their best to reach out to their customers with relevant information and pass it via all the communication channels available – to make sure the important message got through. Do you believe these are the signs that show a company cares about its customers? Are there any other things you would like to add to the list? Share them with our readers. And as always, thank you for reading our blog! This entry was posted in Articles and tagged customer care, customer service. Bookmark the permalink. Good read! It is nice to give back to customers – they are the lifeblood of the company after all. Customers will actually be delighted knowing that the company appreciates them. Company should care not only because their customers are the one bringing in the money. And, your signs are spot-on. I would like to add, “taking care of customer service people and those in direct contact with customers.” I believe that if you keep your employees happy, they will go out of their way to make sure that they do an exemplary job – making the customers satisfied and feel cared for. Thank you Brooke. I agree that taking care of employees is one of the essential signs that can tell if company is able to take care of people as a whole. This a great post! It is so compellingly simple, yet so often completely overlooked by businesses. These simple tools play directly to the subconscious, subliminal thinking and decision-making. Pull or hypnotic marketing at its best. For your consideration, here’s one that most people forget that’s really profound, and game-changing: Trust customers. Trust customers to do what’s right for them. That acknowledges that they are the creators of their experiences, and the firm’s/brand’s role is to advocate for them. In the current Knowledge Economy, products/services are only tools that customers use to achieve their outcomes, and their experiences are based on how easy/hard that is for them. When the firm sees its primary purpose as empowering customers to attain their outcomes, the relationship is transformed. My firm has shown that empowering customers in digital public gets better sales results than selling, marketing or promoting. More specifically (this is really a stretch for most businesspeople), trust customers to know when to buy the product/service. When you stop trying to persuade, coerce, or convince them, they feel closer to your firm. Trust customers to try to reach their outcomes. When your product/service doesn’t work for them, trust them to explain why—in their experience. There is no right or wrong here when you focus on empowering people. Trust them to be fair. After more than a decade of conducting ethnographic research of social media, I can tell you that exceptionally few people are out to take advantage of the firm/brand. This means giving customers the benefit of the doubt. Thank you so much for your input, Christopher. I appreciate your time and effort to share your point of view. I am sure, the idea deserves to be featured in a separate article. Thank you for the inspiration. I enjoyed reading your article and all valid points. It’s been my observation that larger companies, especially, ofter overlook their internal customers – their employees – which you included. They forget that if the employee is unhappy, it will affect the results they bring to customers, and ultimately affect the bottom-line. Thank you for sharing excellent infirmation.